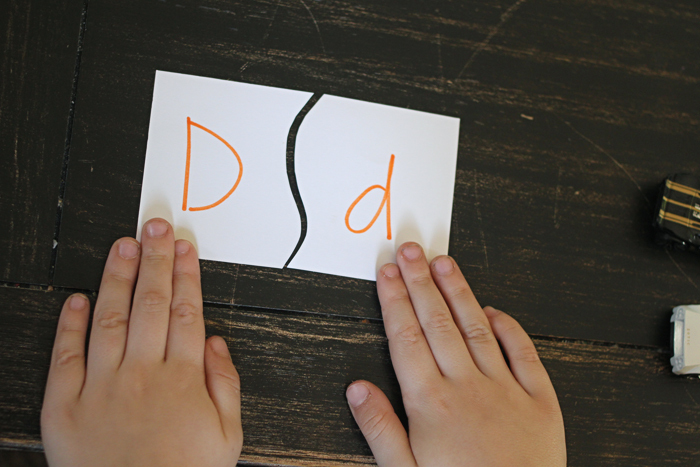 I found a really fun way to help kids identify the letters of their name. I love finding a way to teach them something that’s fun and doesn’t feel like learning. Isn’t that the best way? 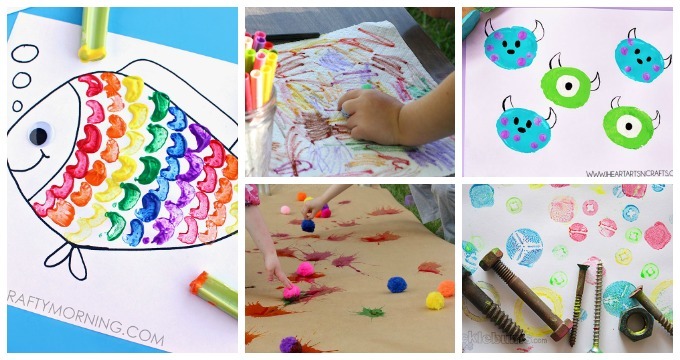 There are many adaptations of the I-Spy bottle and so many fun ways to use them. 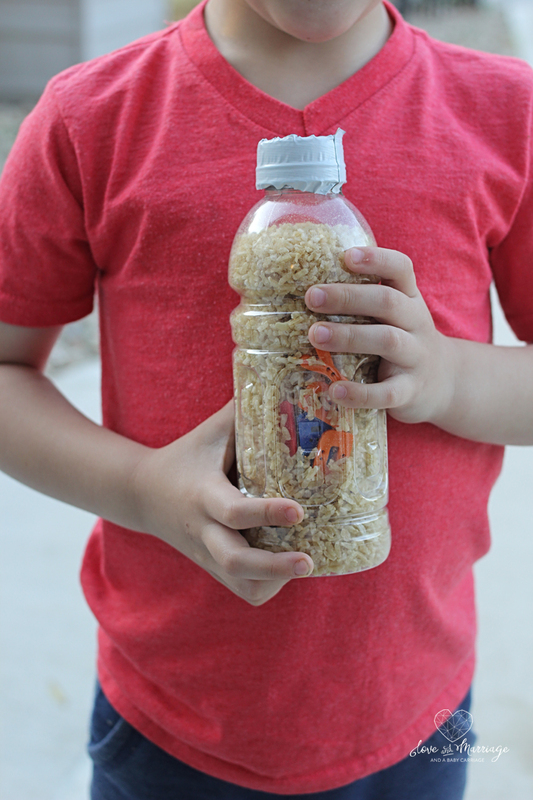 The basic idea is this: fill a plastic bottle with rice and other small things that they can identify. They’ll have to shake the bottle and move it around to find them. Then he can play with the bottle trying to find each letter of his name. I don’t always get it right, but I do try to find ways to incorporate something we’re working on into a fun activity. I don’t want to always make it feel like work to sit down and practice his letters. 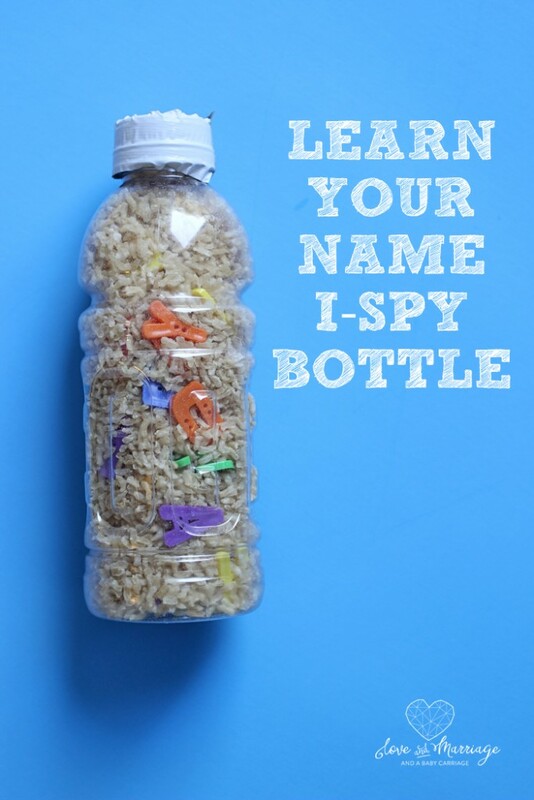 You can make all sorts of I-Spy bottles – the possibilities with this are endless. Here are just a few of my favorite ideas.